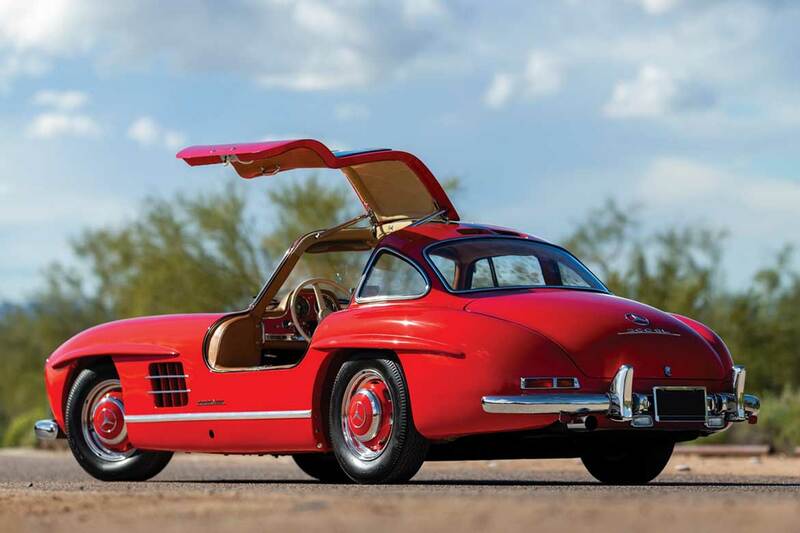 There were some fine Mercedes offered during Arizona Auction Week 2019. We’ve included just about all of them, all the cars worth talking about (and some that probably aren’t worth talking about) in our list below. We’ve listed the categories as we have in the past… the different classes of SLs and then everything else in other categories that we think make sense. Of course, you’ll see more purely ‘collectible’ cars at Bonham’s, Gooding and Co. and RM Sotheby’s, the ‘highest-end’ auction houses. You’ll see more ‘used cars’ at Barrett-Jackson, Russo and Steele. A friend of mine who attended auction week for the first time was surprised how many low priced cars there were at Barrett-Jackson, not just Mercedes, but cars in general, under $20,000, even $10,000. He had only ever watched the auction on T.V. and assumed everything at the sale was $100,000+. Many, many cars at Barrett-Jackson, and the other auctions, sell for well under $100,000 and there are plenty, at some of the sales, as he noticed, under $10,000 even. 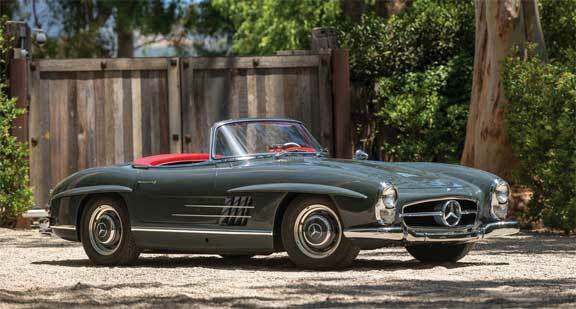 This 1960 300 SL Roadster was a no sale at RM Sotheby’s with a high bid of just $950,000. There were seven 300 SLs offered during Arizona Auction Week 2019, four sold, three did not. The 300 SL market leveled off last year and that trend seems to be continuing this year. Most 300 SLs are million dollar cars, but it takes something special to bring a million and a half or more. Both of RM Sotheby’s 300 SLs went unsold, Gooding and Co. sold two of three, with Bonham’s and Worldwide selling one each. 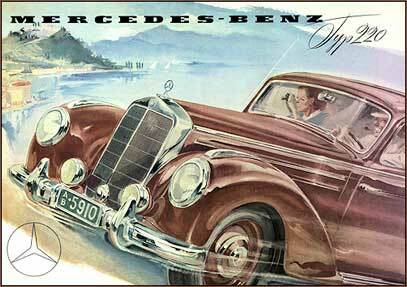 It’s pretty clear that unless you have something that’s correct, and with an exceptional story, you’re not going to pull big money in the 300 SL market. Non-running, rusty barn finds have been selling for more than some of the perfectly good, running driving examples that didn’t sell in Scottsdale. Discriminating buyers seem more apt to buy a one owner car that has been forgotten by the world, that hasn’t run in decades, to a car that’s had a few owners and underwent a restoration 10 years ago. Whether it makes any sense or not, I think many new 300 SL owners want a good story to tell and many of them, want a project to oversee, a car they can make their own, so to speak. Bonham’s sold this restored 1964 230 SL for $64,400. 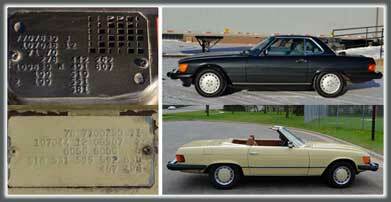 A strong result for a 230 SL, but the restoration must have cost much more. Three or four years ago you could sell just about any running, driver quality 280 SL for $70,000, that’s not the case today. 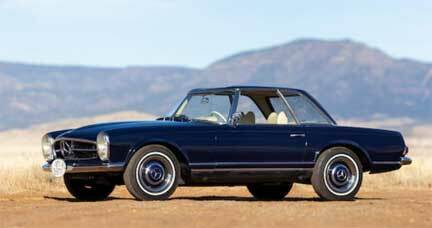 In Arizona Bonhams offered no less than four W113 SLs, while Gooding and Company didn’t offer any. RM had one, a special ZF 5 speed car, the ultimate in collectible Pagodas. About half of them, drivers, sold well under $100,000 which is where they should be. Don’t be discouraged though, back in 2012 an absolutely perfectly restored 280 SL was only a $55,000 car… that same car today, is worth double that. 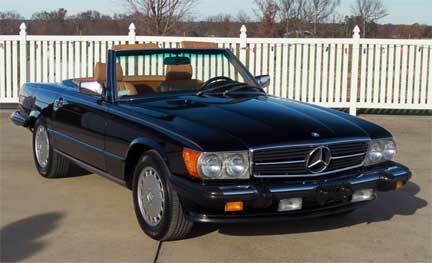 Lot 456.1 at Barrett-Jackson was this 1989 560 SL in black with Palomino leather, it sold for $49,500. Aside from Barrett-Jackson’s 1989 560 SL with just over 15,000 miles that sold for $49,500 R107 offerings were largely unimpressive during Arizona Auction Week 2019. There really is no shortage of low mile R107s, no matter the model. Buyers can afford to be picky and there are always more than 150+ on the market at any one time, so there is little motivation to battle it out with another bidder at an auction for a car you can probably buy within a half day’s drive from where you live. Even one with low miles. Never the less, a new group of enthusiasts are discovering these cars, or at least arriving at a point in their lives where they’ve decided it’s time to finally put one of these iconic machines of the 70s and 80s in their garage. I don’t see prices going anywhere but up on quality examples. There were about 20 R230 SLs available in Arizona this year, sounds like a lot, right? Looking back at our auction report from last year, there were 30+ available in 2018! The question of future collectibility come sup a lot when talking about this generation SL. I believe they will be collectible one day, maybe not on the same level as some of the SLs that have come before them, but they are Mercedes SLs, which always have been, and probably always will be inspirational material possessions. I don’t think an auction is a particularly good place to buy one, as there are plenty for sale at any one time, but they can be good cars to sell at auction. As usual, with serial production, ‘modern classics’ – mileage, limited ownership and original paint and options are what differentiate one car from another in terms of value. The 2009 ‘face-lifted’ Silver Arrow models are my bet for best chance at future collectibility, they made just 550 of them. Other cars that caught my eye… SLS coupes over roadsters, the 22,000 mile 500 E at Bonhams with just over 22,000 miles that did $85,000… we will see more of this kind of money, and more, for low mile 500 E and E 500 cars in the coming years. While their ‘banker hot rod’ forefather, the 6.3 struggles in the market from where I’m sitting. W111 / W112 sold (and didn’t sell) about where I would have expected. Prices on 6 cylinder W111 convertibles of all kinds (220, 250 and 280) seem to be creeping up, although we didn’t have very many to look at in Arizona to declare a trend, but looking at the wider market, it’s clear. Not everyone can afford a 3.5 convertible (or even wants one for $300K+ if they can afford it), so the other open cars from the W111 series are seeing an uptick. BJ – Barrett-Jackson, B – Bonhams, G – Gooding & Co. Unsold lots are in RED with unsuccessful high bid listed. All sale figures include buyer’s premium. ’70 280 SE Cabriolet (3.5 spec.) – B – Lot 108 – $193,760** Check back for a profile of this car, coming soon! *All images courtesy the auction companies: Red 300SL (featured image) by Patrick Ernzen ©2018 Courtesy of RM Sotheby’s, Grey 300 SL roadster by Robin Adams ©2018 Courtesy of RM Sotheby’s. Bonhams (230 SL) and Barrett Jackson (560 SL).